Globecanvas has been so prolific that it has been tough to post here, as I don’t want to top post one of his carefully crafted posts with my garbage. Remember to click on Worth the Trip to get right to the cycling. Guys, feel free to top post this whenever. I’m happy to announce that Riding the Catskills is number 1 on Google for searches for Catskills cycling these days–above even the Tour of the Catskills! But it looks like with Globecanvas’ contributions and my impending move, we’re going to have a shift in focus around here. There’s not enough change in focus to change the title of the blog, because I’m sure we’ll all be Riding the Catskills whenever possible, but I’ve just signed a contract for a house in Gardiner, New York, only about 5 minutes south of New Paltz. That puts me just a few miles from Minnewaska Park and the Shawangunk Ridge, and less than 4 miles from the entry to the park described in Globecanvas’ contribution here. Riding the Catskills proper will turn into more of a weekend ride for me rather than a daily event, as to get there I’ll have to ride over the ridge. However, Somervillain will still be covering Delaware County intermittently and Doug H, hopefully, will be covering northern Ulster and Greene. I’ve also invited George from the Hudson Valley Randonneur to cross post if he sees fit. 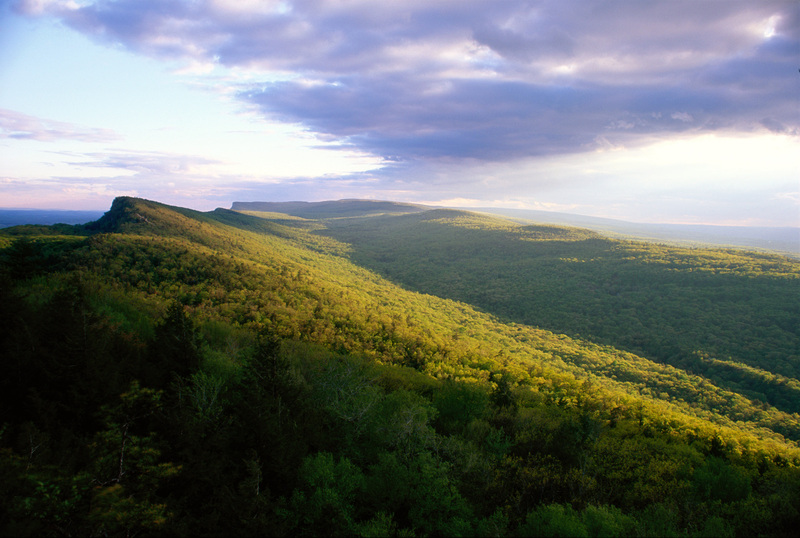 The Shawangunk ridge—which is also known as the Shawangunk Mountains or just The Gunks, is a ridge running from Orange County, through Sullivan County, and pretty much terminating near Rosendale, where Globecanvas lives. My understanding is that The Gunks are the continuation of the easternmost ridge of the Appalachian Mountains. Based on a little research (thanks Wikipedia!) the name of the ridge essentially means “in the smoky air”, and refers to the burning of a fort by the Dutch in 1663. So, the house: I am relieved to be staying in the area. We went through an unusual process when purchasing the house. How do I explain this? I had contacted a prominent and well-regarded local architect to give us some ideas and an estimate on a house we almost purchased in Stone Ridge. We subsequently found out that he was selling his personal home in Gardiner. Skipping all the details, I ended up negotiating directly with him on the purchase and came to a great win-win situation for everyone involved (including the respective brokers); in fact, we consider him a friend now. He clearly loves his house, and has gone far above and beyond what most sellers would do to ensure the house is perfect when we move in—a benefit of buying an architect’s personal home and having a good relationship with the seller! The house inspection only revealed a few minor issues—the kind of stuff that would be expected in even a new house—and some other stuff that would be considered upgrades. Well, the seller is taking care of both the minor issues and many of the noncritical upgrades, many of which we didn’t even ask for but he decided to manage proactively. We have a few unusual provisions in the contract, for example, he asked for a right of first refusal if we ever decide to sell, meaning we will contact him or his children first to offer them the house before putting it on the market. He’s also staying in the house 4 months beyond when we purchase it. All in all, the way a house should be sold. I hope to extend the same courtesy to his children if we ever move. I know I’ve said this before, but now I can get back to riding. My neck is feeling much better, and I’m off for a quick 30-mile ride right now. Like Globecanvas, I’m hoping for big miles this winter! This entry was posted in Uncategorized on November 17, 2013 by John Ferguson.